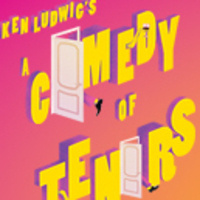 The Tony Award®-winning playwright of Lend Me a Tenor is back with another farce set on the precipice of a big concert in 1936 Paris. When star tenor Tito Merelli refuses to perform at a Three Tenors-style concert, American impresario Saunders and his sidekick Max stumble-upon Beppo the Bellman, who happens to look exactly like Tito and has a voice to match. Throw in a couple of young lovers caught in flagrante delicto, Tito’s fiery wife, a randy Russian diva, some slamming doors, and the result is an uproarious laugh-riot and evening of adult fun.